Maximum Plumbing is a full-service plumbing and gasfitting company located in Baltimore, Maryland, completing all types of plumbing services for homes and businesses throughout the Baltimore area. Maximum Plumbing can help you with any plumbing need, whether it is a plumbing emergency, small repair jobs, or even building a new home. 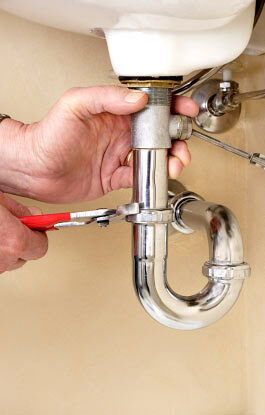 Maximum Plumbing concentrates on offering the best plumbing available with professional and courteous service. If you need any plumbing done, whether residential or commercial, call Maximum Plumbing at 443-928-7093. Maximum Plumbing prides itself in that it grew through word-of-mouth. Current customers love Maximum Plumbing and you will too! Maximum Plumbing offers emergency plumbing services day or night, Saturday night through Friday afternoon. If something goes wrong with ANY plumbing system throughout your home and it is an emergency, please call us (443-928-7093) so we can help you deal with your emergency. Maximum Plumbing offers a full range of plumbing services to both Residential and Commercial customers in the greater Baltimore area. Maximum Plumbing is careful to maintain professional and courteous service with every job, and works diligently for your complete satisfaction. Maximum Plumbing is owned and operated by Moshe Binder, a fully licensed and insured Master Plumber in Maryland. Moshe Binder has been working as a plumber ↑ and with pipes, drains and water for over 8 years, and has honed his ability to quickly pinpoint problems and solutions to keep your pipes running clean and free!